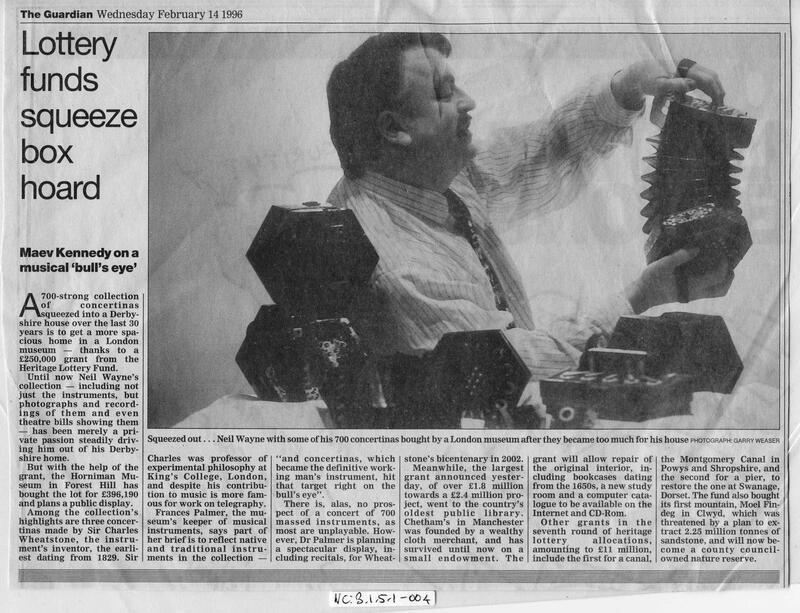 Full Description: An original press cutting from The Guardian, dated Wednesday February 14th 1996, and headed "Lottery funds squeeze-box hoard". Together with a large picture of Neil Wayne playing a Jones Anglo, with a Symphonium, Demian accord&#233;on and various classic Englishes in view. The article tells the tale of the acquisition of his first major Collection by the Horniman Museum, London. The Wayne Collection at The Horniman is now online at: www.horniman.ac.uk/music/music/free_reed_index.html .